Spend Your Tax Refund at deBebians.com! Home » deBebians Fine Jewelry Blog » Spend Your Tax Refund at deBebians.com! If you are one of the lucky ones to get money back this year on your taxes, I can think of a few ways to treat yourself. A massage? Check! A vacation? Check! A new piece of jewelry?? Check! Yes, a massage is amazing, but it’s over in about 60 minutes. Yes, a vacation is amazing and the memories will last, but it will soon be over, too. A new piece of jewelry? Aha! This is something you can wear and enjoy for years to come. 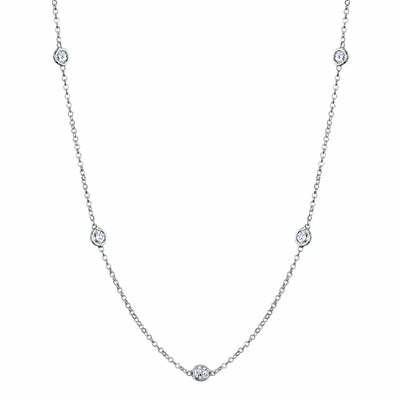 A diamond station necklace is a classic piece that you will enjoy for years and years. Currently at only $1,000 in 14kt white, yellow or rose gold, this particular necklace features 0.70cttw round diamonds. You work too hard during the year to not treat yourself! At least that’s my argument. 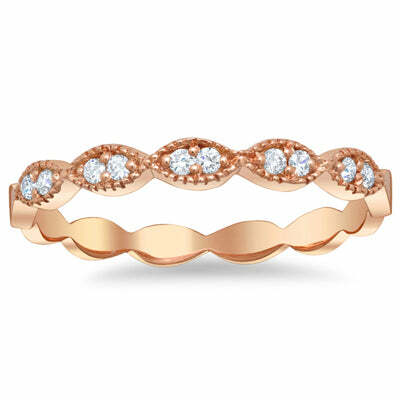 Stackable rings are totally in and at this price (currently only $365) you may even be able to treat yourself to two of these stackable bands. Let’s say you already have a plain wedding band. Well, if you add one or two of these (one per side) you now have a completely new and fun stackable look. Love this band! If you keep up with my blogs, you know that purple is my favorite color. 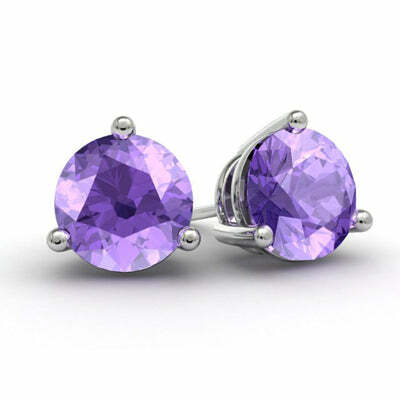 Here I chose 7mm round amethyst studs. Gemstone studs are a much less expensive alternative to the classic diamond studs and again, this is something you will wear and enjoy every day. Remember to treat yourself first this year with your tax refund. We work too hard day in and day out not to. If you need assistance, please do not hesitate to call on us! Happy shopping!